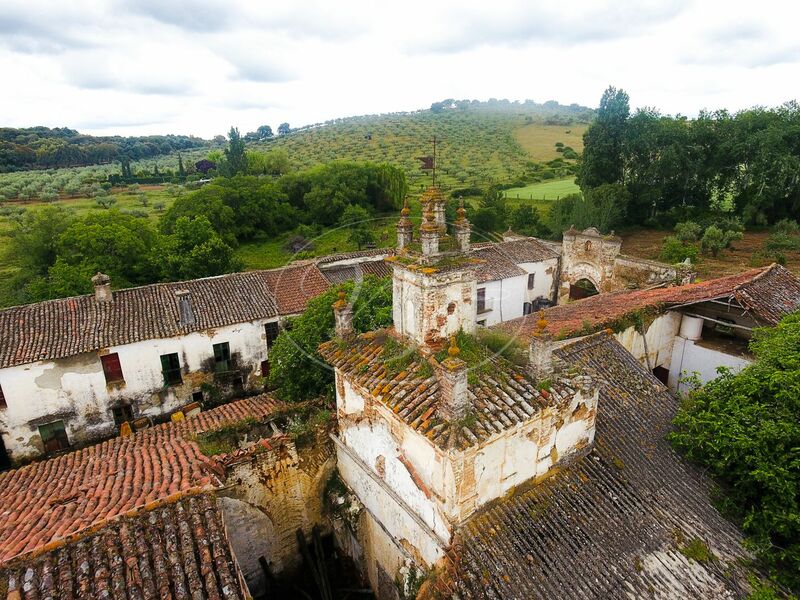 Amazing historical hacienda for sale in the Sierra Norte, near Cazalla de la Sierra, Seville, Andalusia. 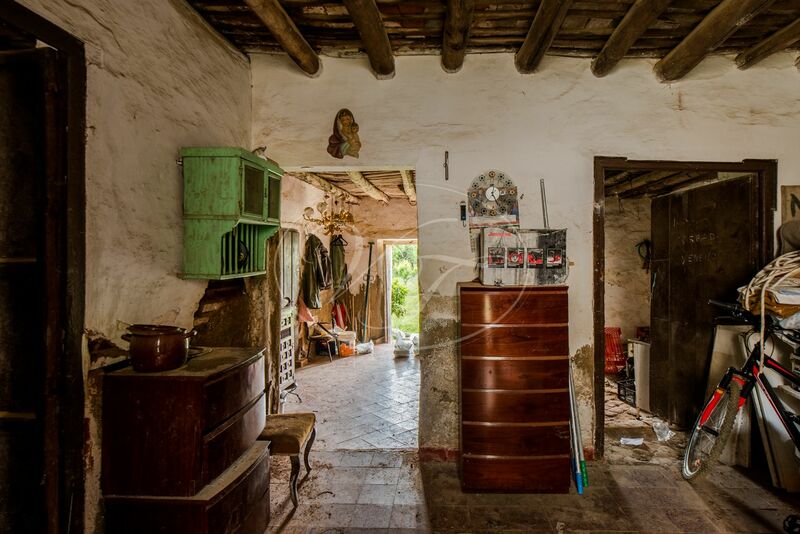 This once grand Cortijo is a unique property, being the silent witness of Andalusia’s rich history. 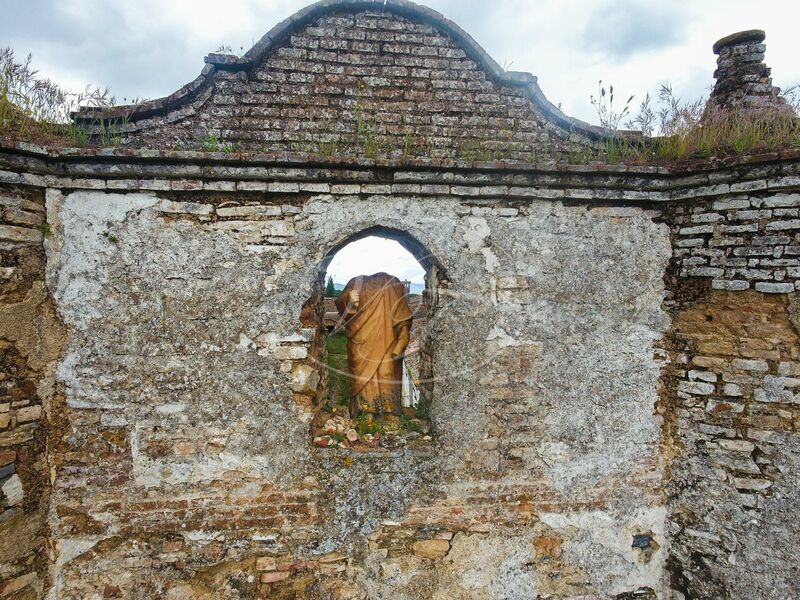 It is in need of restoration, yet you can see some valuable details telling the story of its glorious past. 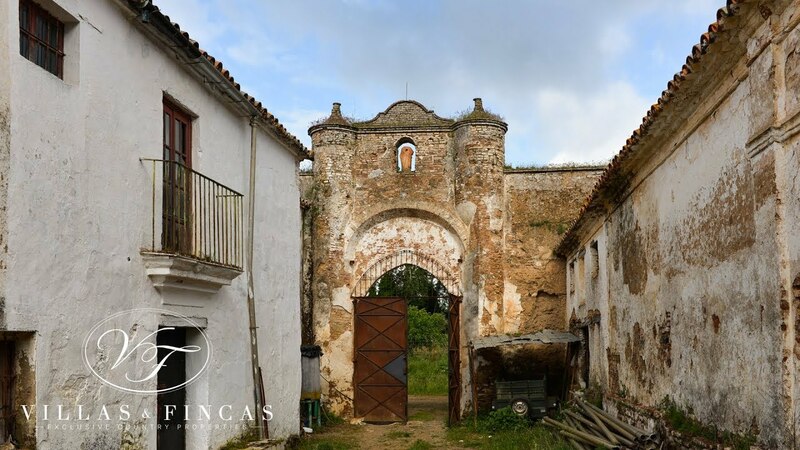 The origins of the Cortijo are dated back to the 16th century when it was in use as a bodega, winery. All fields around the Cortijo were planted with vines. The Sierra Norte was the most important wine region of Andalusia in those days. 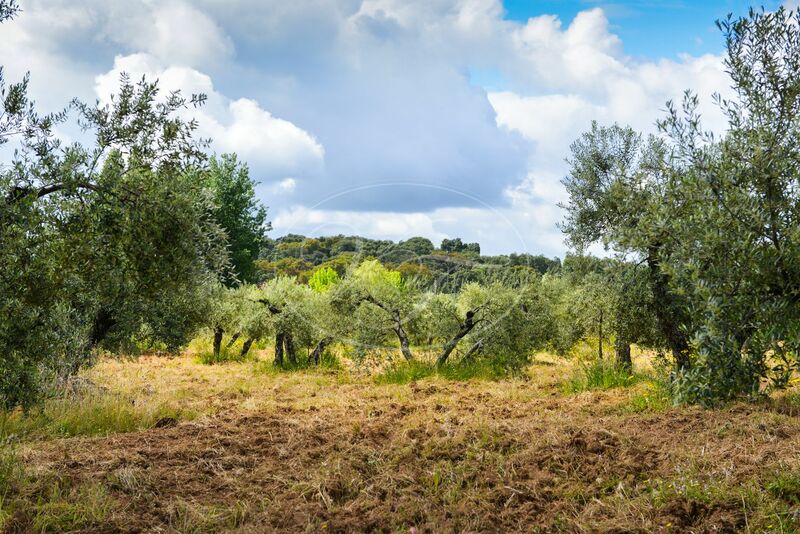 A plague wiped out the vineyards in the 18th century, and the plantations were substituted by Olive trees. 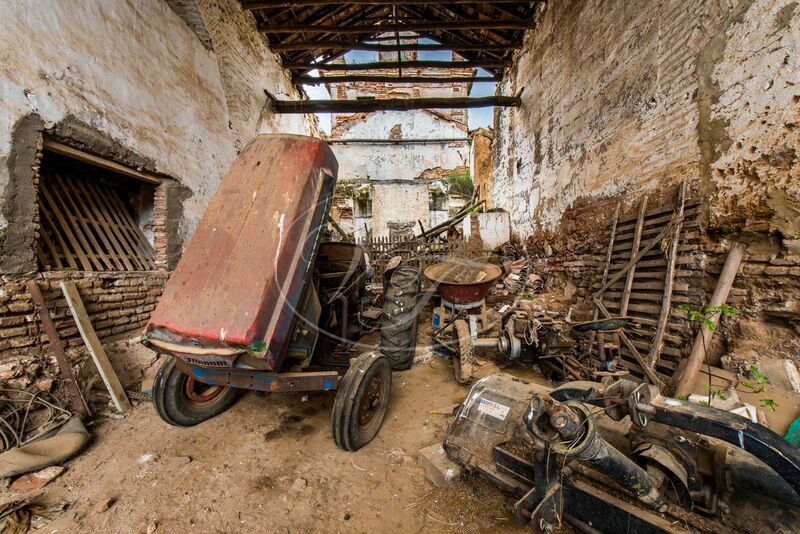 The Hacienda was transformed into an olive mill. The tower, which is still in the reasonable state formed the counterweight for the large beam, working the millstones to ground the olives and extract its oil. 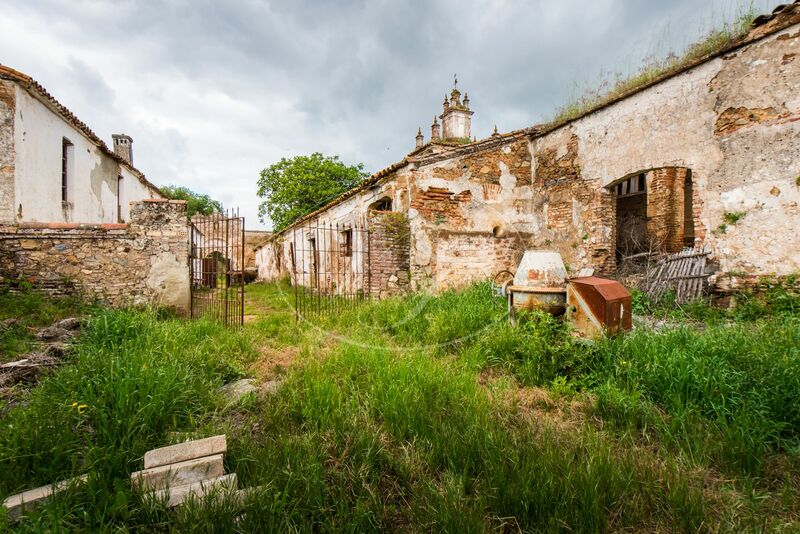 The architecture of the Hacienda seems to be related to the church in Cazalla de la Sierra. 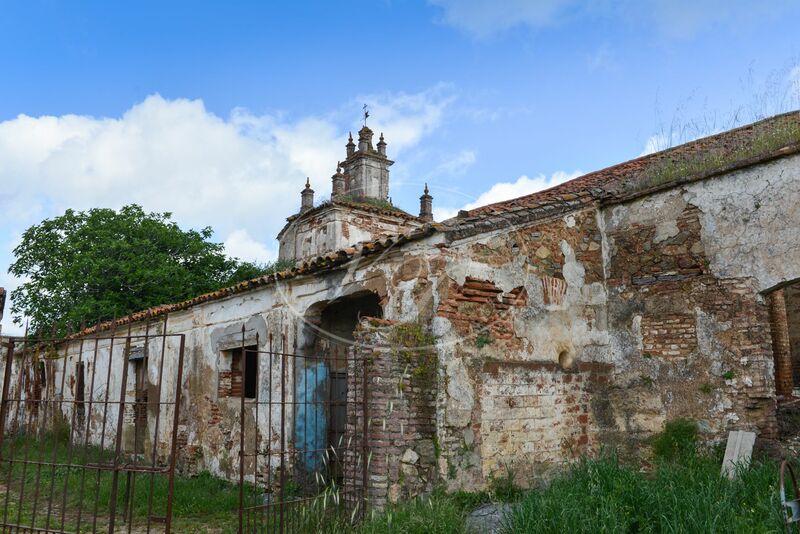 The prominent pillars at the front side of the Cortijo are very similar to the ones in the village church. The statue above the entrance gate is believed to be San Bartolomé, who unfortunately lost his head during the civil war. 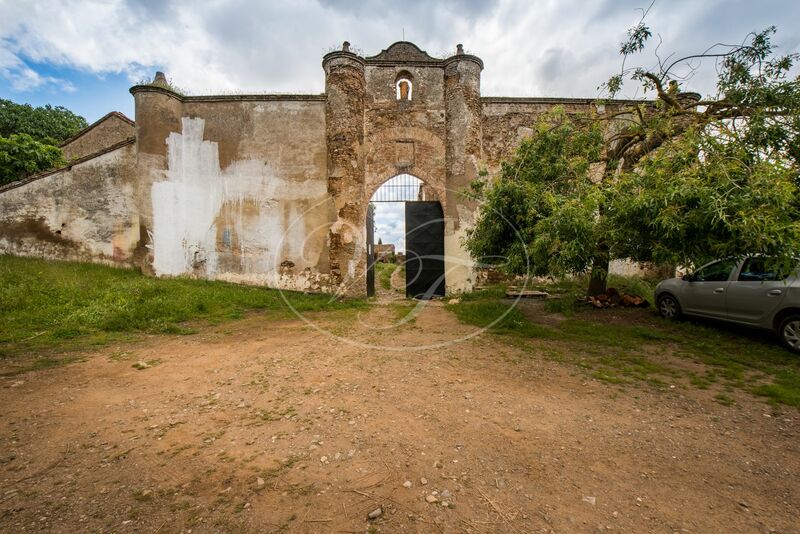 Entering the Cortijo through the gates into the internal, cobbled courtyard feels like an expedition in the past. The buildings on the left-hand side used to be in use for the mill. This part is in a very poor state and presently not accessible. 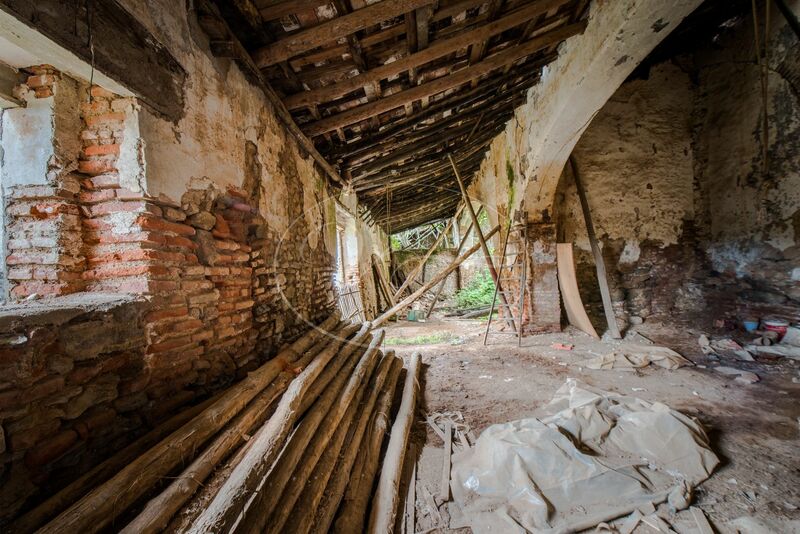 You can still see the original roof structure with wooden beams and tiles. Furthermore, the old arches connecting the different galleries are still visible. Some are bricked up to keep the structure up. 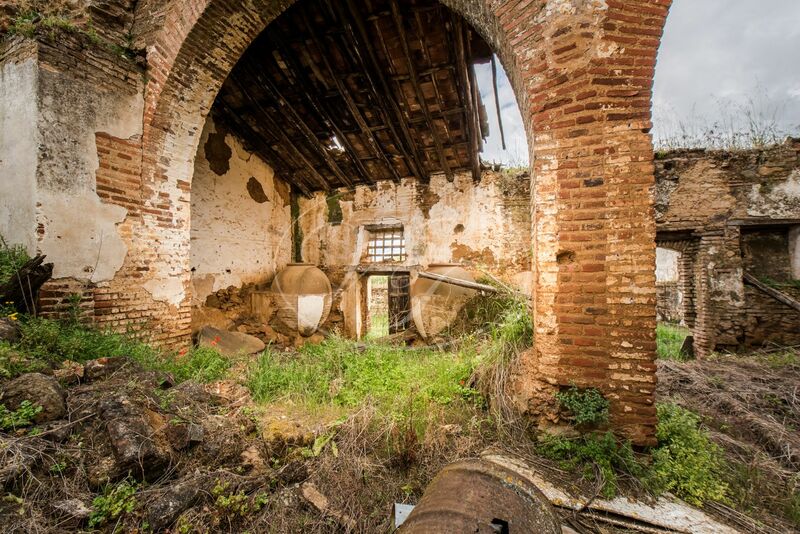 Originally there were 4 galleries or warehouses, the first three were in use as the álmazara´the mill, within its centre the tower. 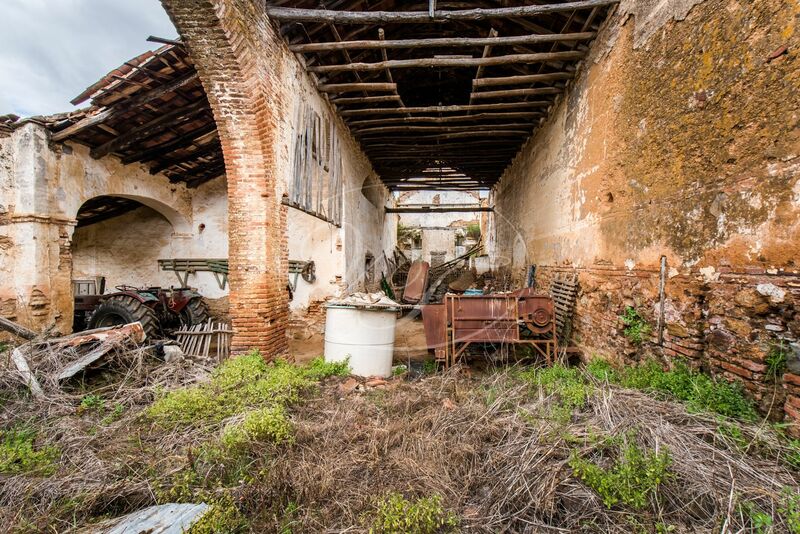 The last gallery was the ‘bodega’, where the oil was stored in large earthenware jars. Only two jars have survived the years and they are stored at the back of the hacienda. A tile in Delft style of Santa Eulalia is found on the outer wall of the mill. 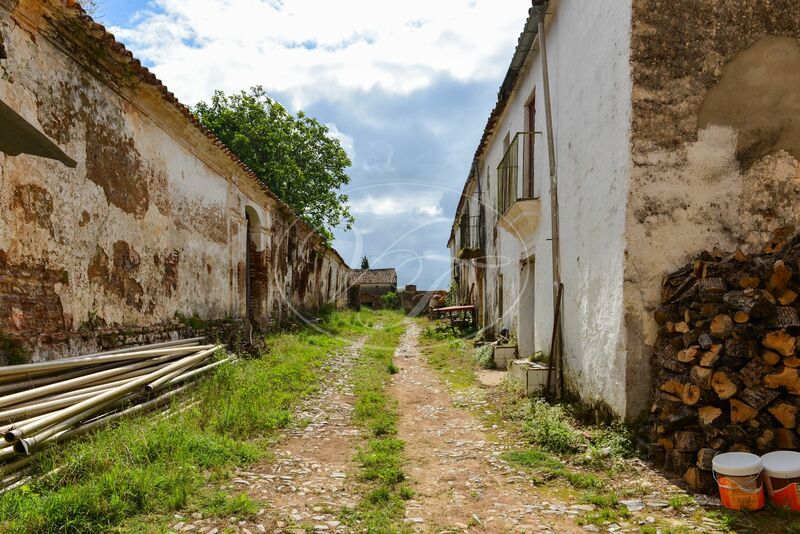 The far end of the Cortijo was used for barns and stables for the livestock. 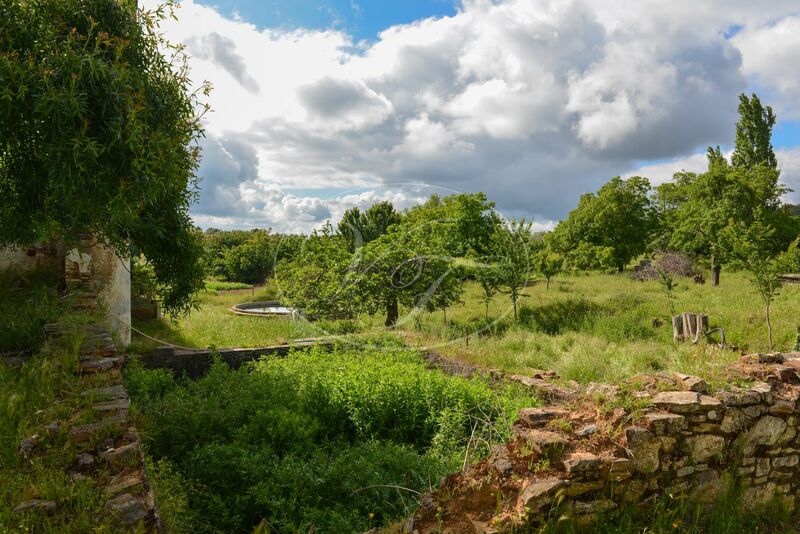 The animals had access to a yard surrounded by stone walls. The remains of these are still visible. On the right-hand side of the internal patio, the living quarters were located. This part of the building is still in an accessible state. This long stretched building can be subdivided into 3 parts. 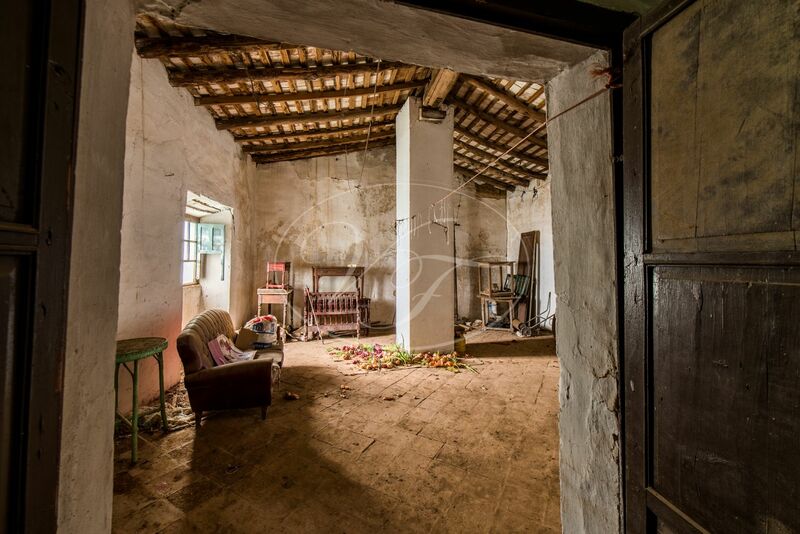 The first being the living quarters of the ‘Señores’, the landlord. Again you will find here the traditional roof and also ceiling structure with beams and tiles. 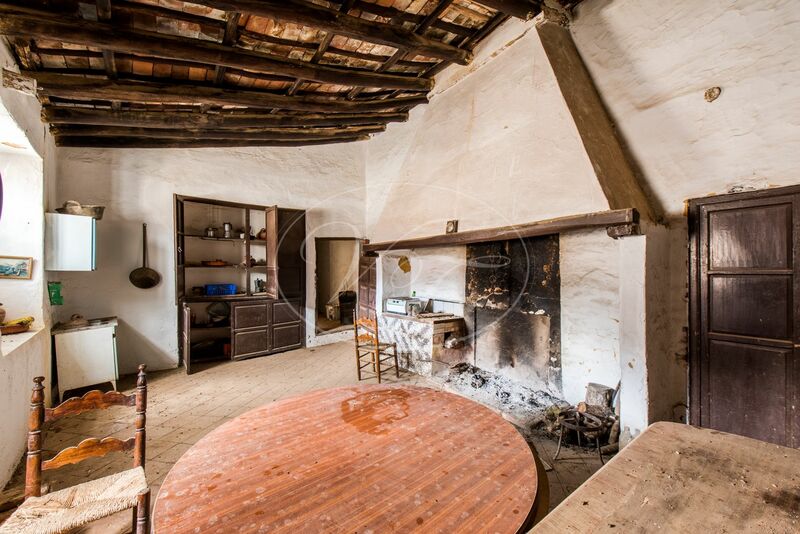 The kitchen features an enormous chimney which must be almost fully original. The second part of the building was in use for the workers to live and sleep and the third part for the animals. 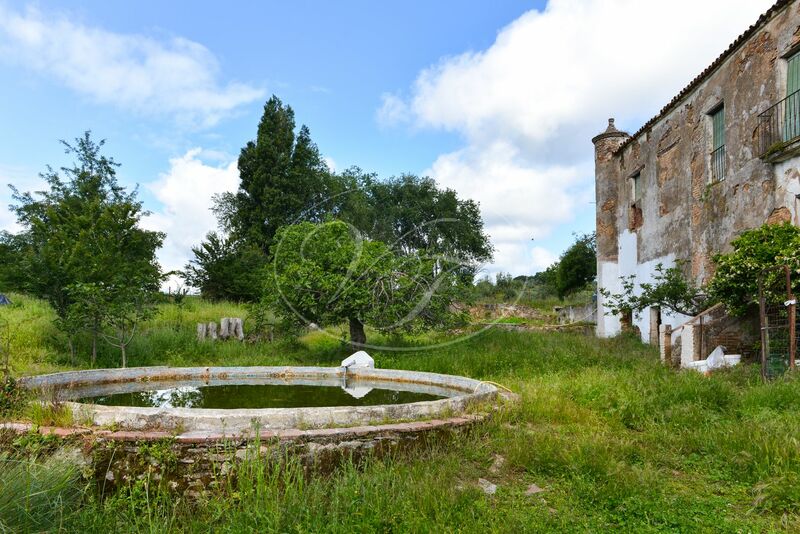 On the back of the house, you can also see the remains of an old ‘alberca’, water deposit. 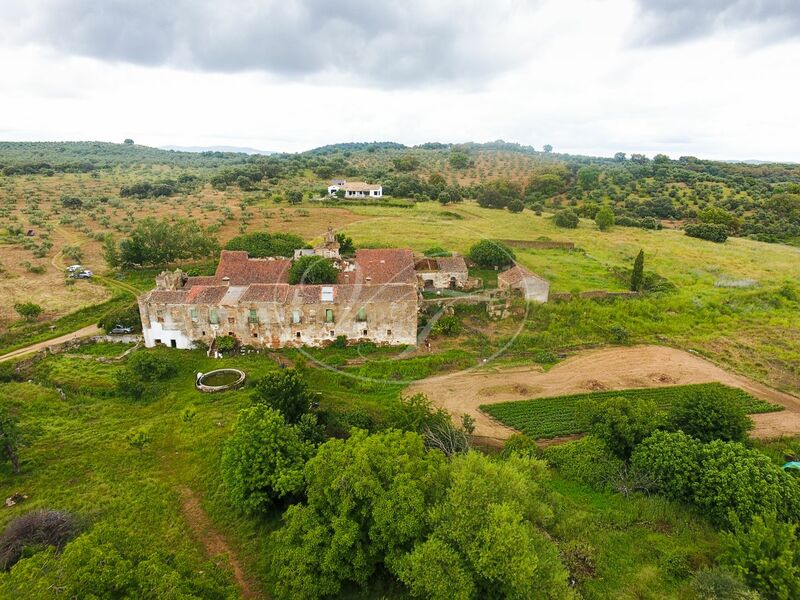 This unique property comes with 15 hectares of fertile grounds that surround the hacienda. 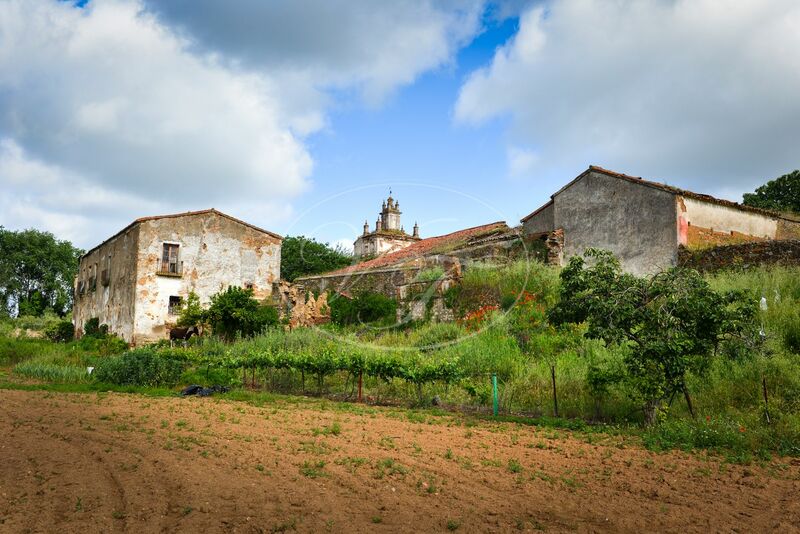 The flattish land directly around the Cortijo was and is used as a vegetable and fruit garden and for livestock. You will still find a variety of fruit trees as cherry, pear, figs and also chestnut and walnut trees. 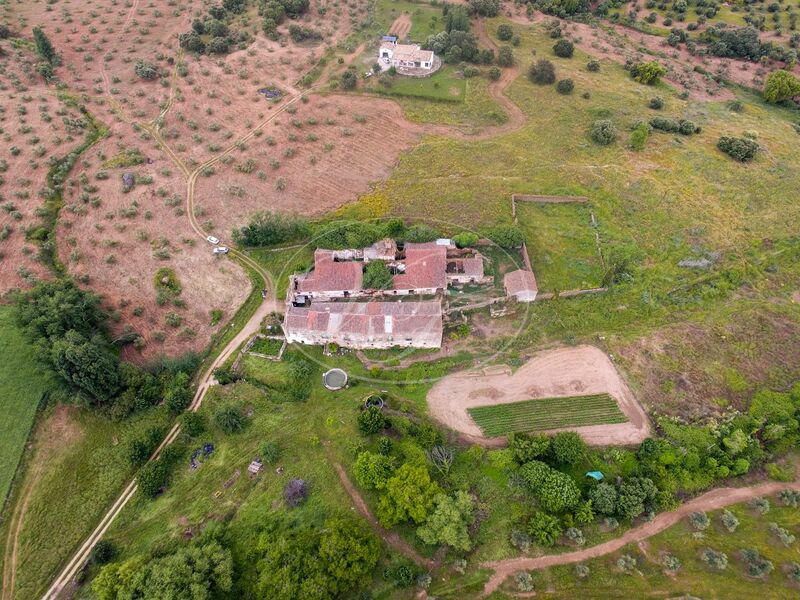 The remainder of the land is a 200-year-old olive plantation, very well maintained, and still productive. The varieties are peculiar as well. Manzanilla is still found elsewhere in Andalusia, yet the variety Zorzaleño is quite rare and specific for this area. This amazing building is a project. 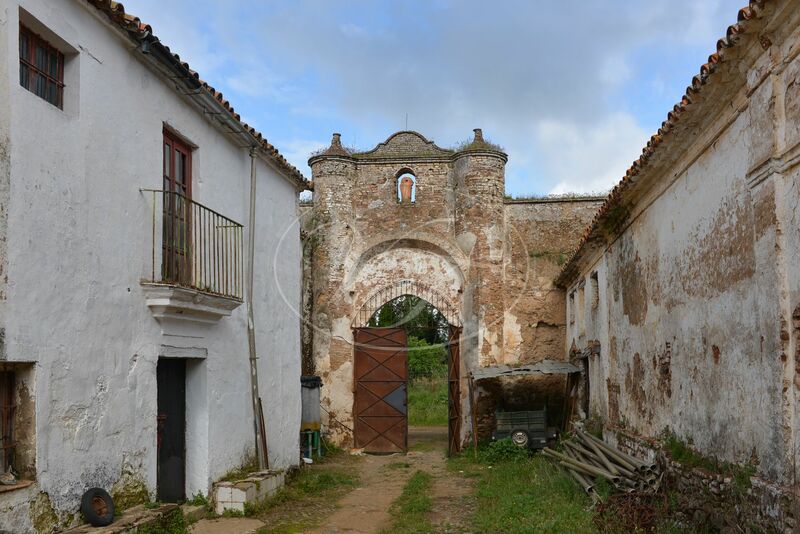 It is in need of an investor who will bring back life to this historical site. 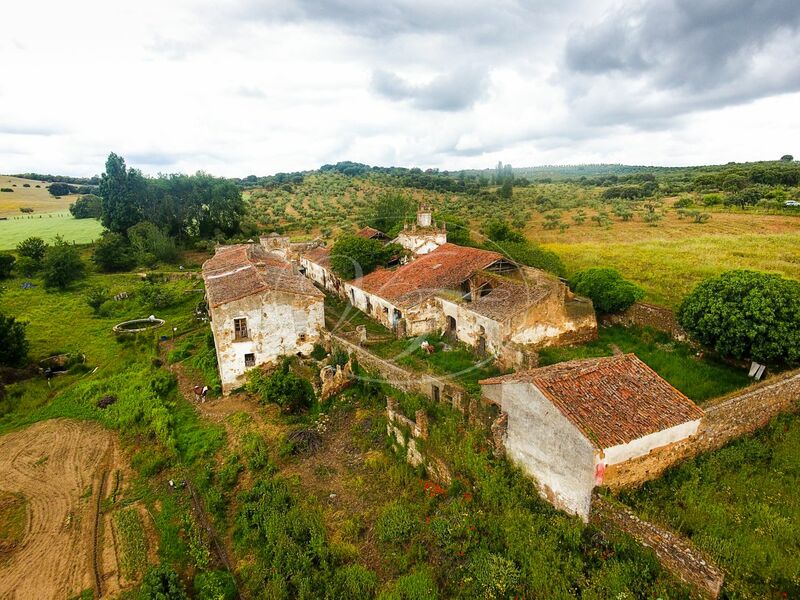 It could be ideal for a small boutique hotel and agro-tourism, or it could even be a private home with an exclusive production of olive oil from ancient old trees. Whatever you as an investor have in mind, we can bring you in contact with the right people to fulfil your dream. The purchase is only the start of this. 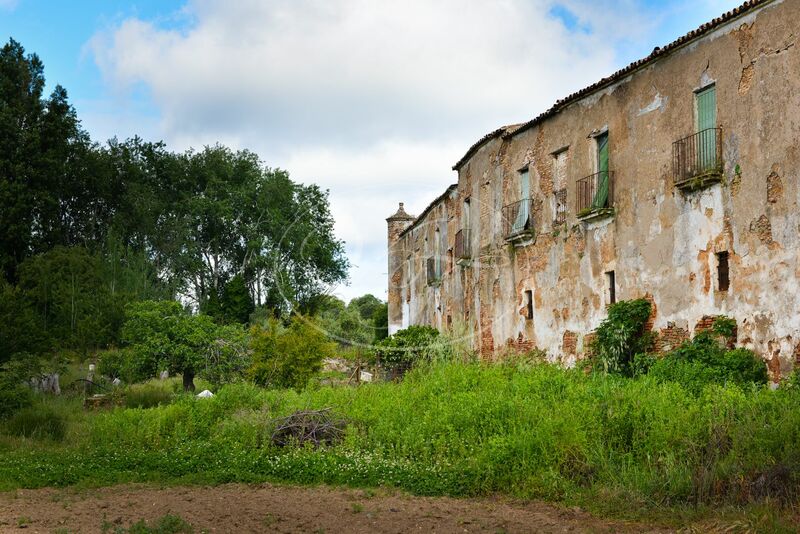 A rough estimate is that the restoration could cost over 2 Mio Euros. 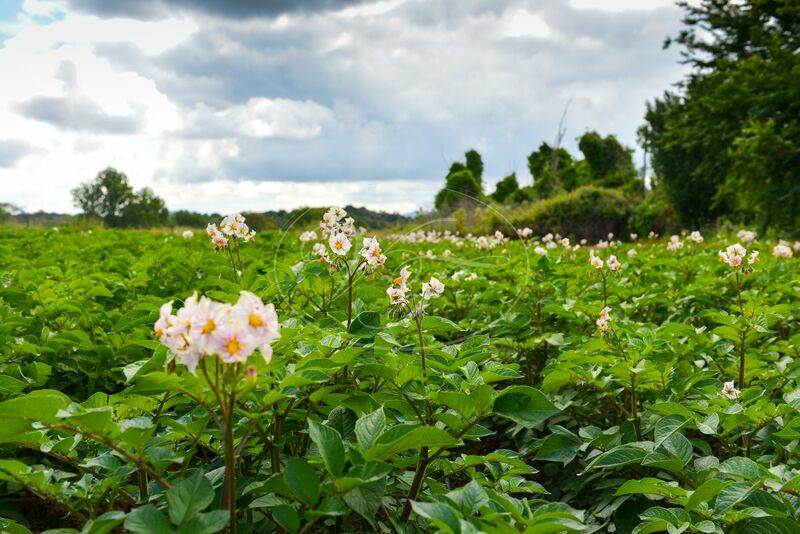 More land could be purchased if that would be of interest to the future owner. There is an abundance of water coming from a spring formed by water veins. 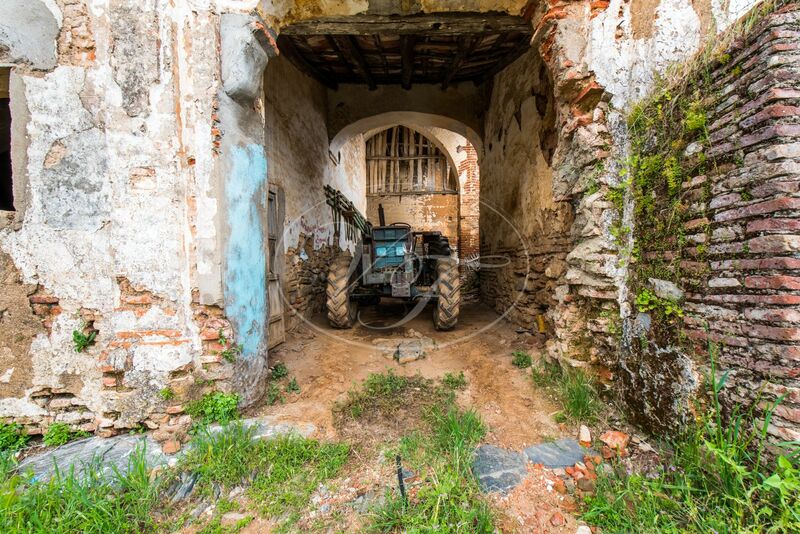 It used to run into the old alberca but is now redirected to a new one, from where the fields are watered. Electricity is not connected. It currently runs on a small generator. A new owner can decide to connect to the mains or put a solar installation in place. 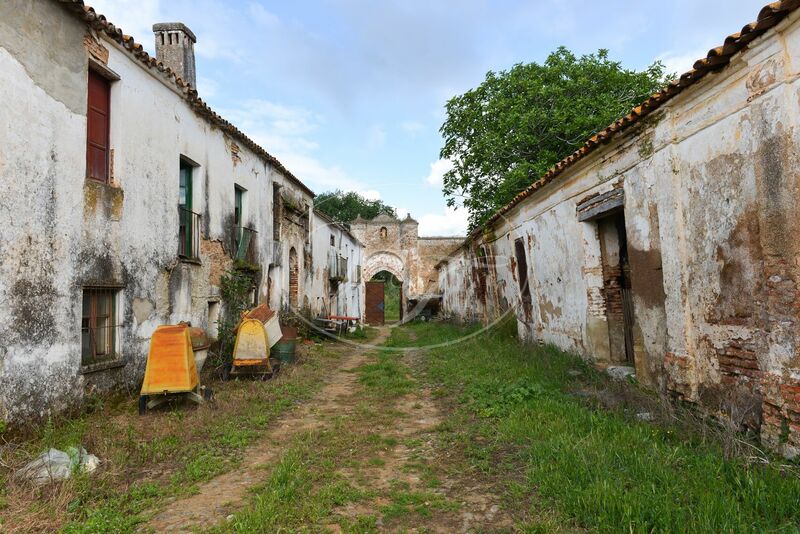 The property is located at just 1,5 km from the village Cazalla de la Sierra, at 1h15 minutes of Seville and its airport. 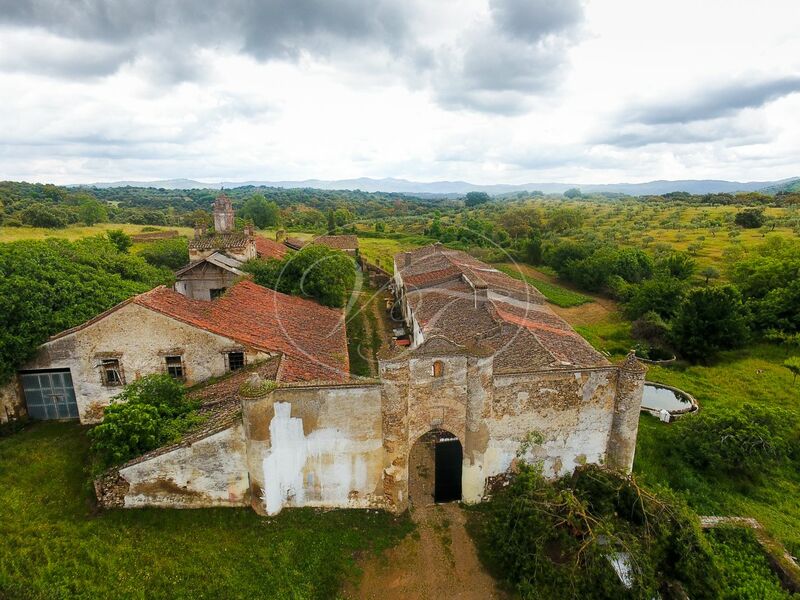 The Sierra Norte is a stunning Natural Park, with endless trails to explore, wine to taste and ham to eat. 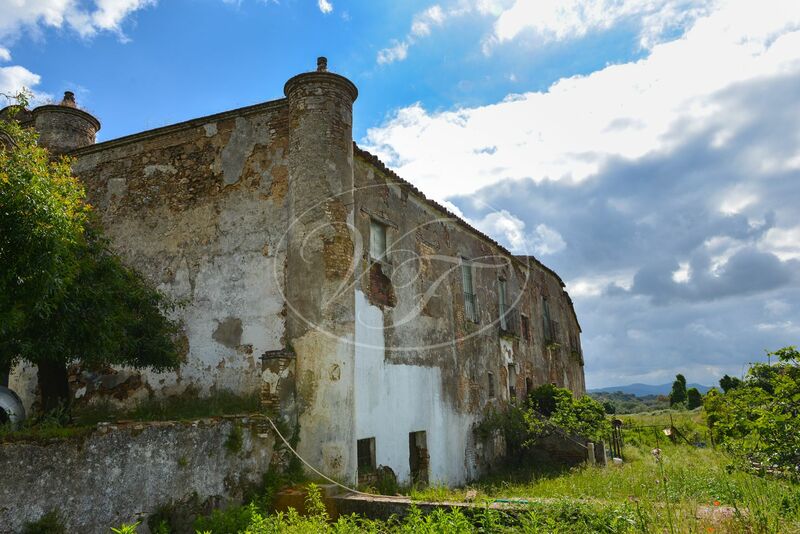 Please, send more information about ref 186-00768P, Cortijo in Cazalla de la Sierra or similar properties.